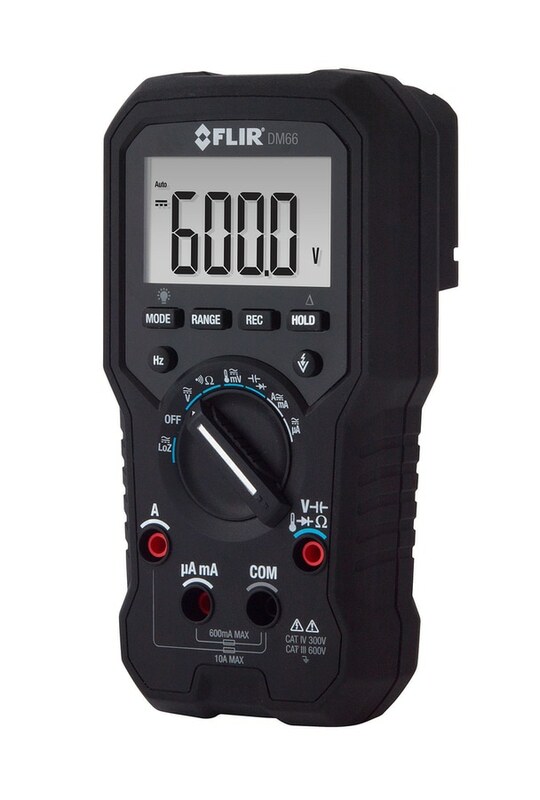 FLIR’s FLIR DM66 electrical and field-service true-root mean square (True-RMS) multimeter targets commercial electricians, automation field service, and electronics technicians installing and maintaining electrical and electronic systems. Equipped with variable frequency drive (VFD) mode and a comprehensive feature set, the DM66 is described as being easy to use, durable, and offers long-term stability and quality for extended field use. Compact and ergonomic, the instrument offers intuitive on-screen menu navigation and accessible buttons that allow for one-handed operation. The flashing backlight and audible indication eases the task of checking wiring connections and switching operation in noisy work environments. DMM test functions include low-impedance (LoZ) mode, temperature (Type-K thermocouple), and extended voltage measurement range up to 600V. It can measure ac/dc voltage, current (A, mA, μA), frequency, resistance and continuity, diode, capacitance, and temperature. 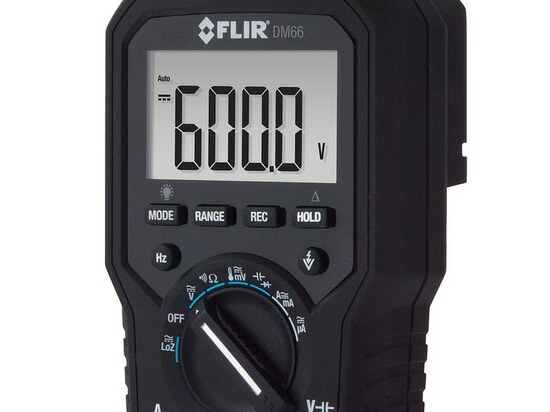 For non-contact voltage detection, the DM66 features a visual indicator and audible beep tones proportional to the field strength. One can use attachable test leads for contact voltage detection, allowing for a more precise indication of live wires.